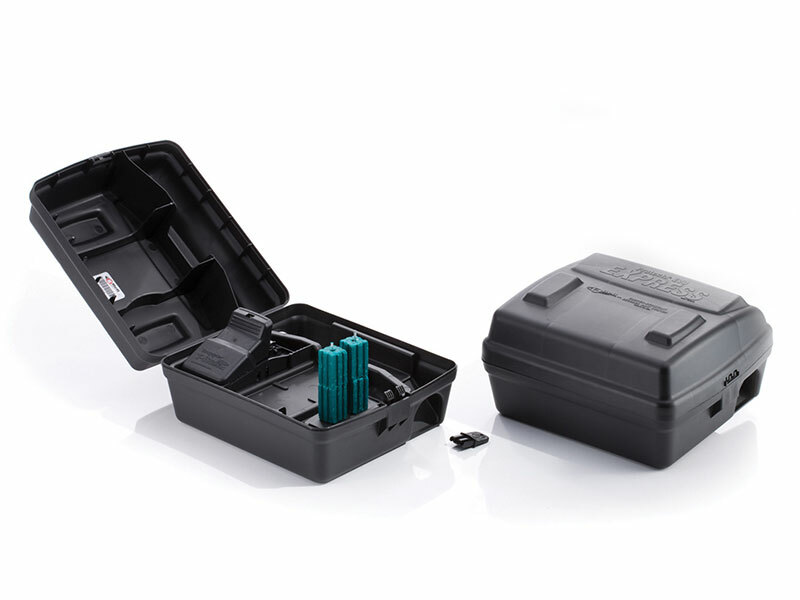 The Evo rodent box from Bell is made from 100% recycled, heavy duty injection-molded plastic. A new symmetrical key self-orients into the lock. The ramped entry allows bait to stay dry in water-prone areas and the Bell barcode sticker is pre-installed for those with tracking software.